"A bright contrast in flavors makes this salad a favorite among friends and family. 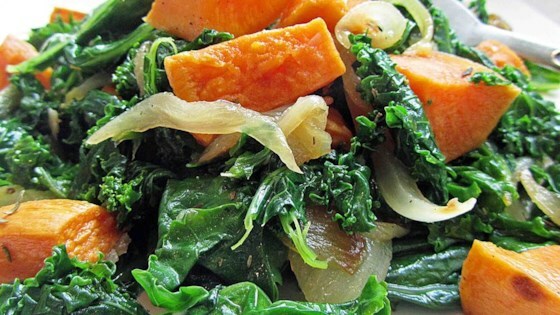 The yams have a subtle sweetness that pairs nicely with the caramelized onions and kale." Great recipe! I had to cook both the potatoes and kale a bit longer. I omitted the thyme and used balsamic vinegar because that is what I had.